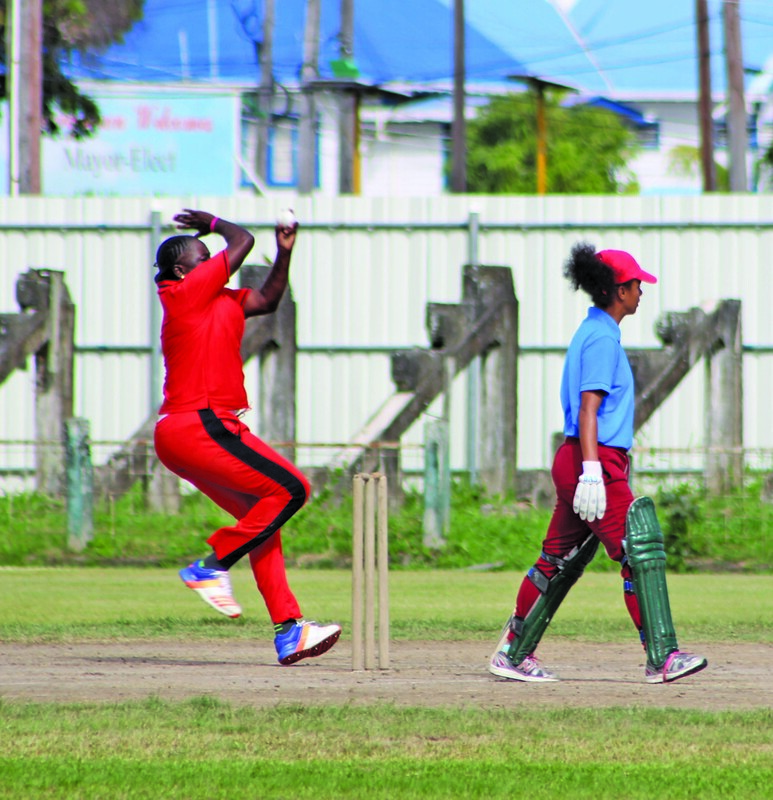 It was the final round of the 2019 Guyana Cricket Board (GCB) Senior Female T20 Tournament: two matches were played at the Georgetown Cricket Club (GCC). Berbice remained untouchable defeating Demerara by six wickets while GCB Select U-19 outplayed Essequibo by 51 runs. The first match saw Berbician and Select U-19 Captain, Shabika Gajnabi stroking a quick-fire 41 that earned her the Player-of-the-Match accolade. In the second match, Erva Giddings was awarded Player of the Match for her three wickets that set up the match for Berbice. Owing to the constant rain in the capital city, the match was reduced to seven overs. Select U-19 scored 79-3 in their seven overs. Opening batters Mandy Mangru and Gajnabi set the tone early in the innings, adding 61 runs for the first wicket. The first over cost 13 runs as Mangru and Gajnabi were in a no-nonsense mood. Gajnabi was the first wicket to fall at 61-1; she was out caught for a breezy 41 off the bowling of Onica Stoby. In came Cherry An Fraser, who had a short stay at the crease – falling for a duck. Mangru occupied the crease, but she eventually fell for 13 off the bowling of Valery King. The Select U-19 team were the prime candidates to win after they racked up 79-3 in their seven overs. 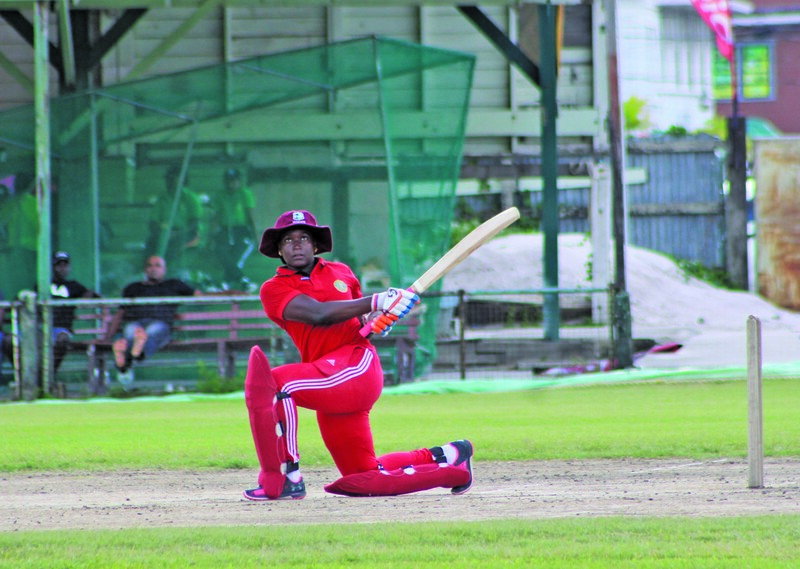 In Essequibo’s reply, they struggled from the inception, as they managed only 29-1 in seven overs. Mangru, who is an impressive off-spinner, got the lone wicket of Lisa Charles, as the Select U-19 continued their triumphs, registering their second win in the shorter format, after upsetting Demerara. In the main event played after the first match, Bourda were in for a treat as the rivalry between Berbice and Demerara continued. Demerara took first strike on a Bourda pitch that began playing slow. The home team, Demerara managed 57-9 in their allotted 20 overs as the batters failed to acclimatise to the conditions. Demerara skipper Akaze Thompson showed her worth with a top score of 16. Bowling for Berbice, Giddings had standout bowling figures of 3-9 from 4 overs. Subrina Munroe grabbed 2-16 in her four overs, including one maiden. Sheneta Grimmond, Plaffiana Millington and Tremayne Smartt had one wicket each, in a complete bowling performance. Berbice required 58 runs to win in their 20 overs as they were batting under clouds, in front of the noisy Bourda crowd. The ladies in red had to fight for every run as Demerara played with spirit. Openers Melanie Henry (09) and Marian Samaroo (02) fell cheaply to Kaysia Schultz, but Grimmond steered the ship for the Berbicians with a brave 31. Grimmond lost Giddings (06) and Smartt (00), who were both removed by Thompson, but Sherica Campbelle and Grimmond ensured no further hiccups. Berbice ended on 58-4 in 12 overs, completing victory by six wickets to fittingly take their sixth title. At the post-match presentation, Berbice Captain Smartt collected the winning trophies for the T20 and 50-over formats. 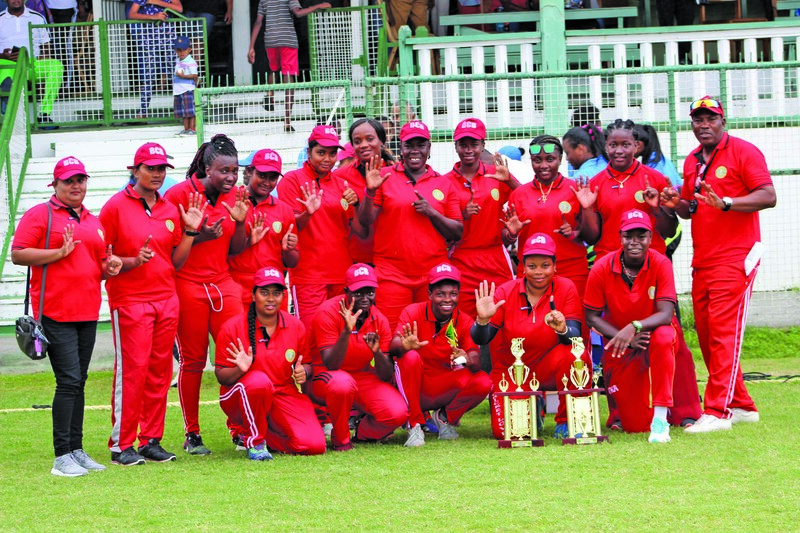 The tournament was used to promote the game and select female teams for the upcoming regional tournaments in Trinidad from March 2019.